Below are just a few questions you may be experiencing. Be sure to look through the different topics available in Parent Resources for more information! 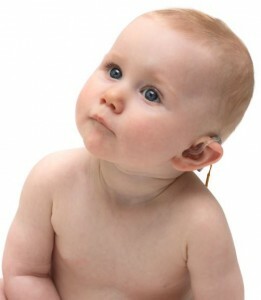 What does it mean to have a baby with hearing loss? Help me understand. I recently found out my baby has a hearing loss. I know he hears something. How can I understand what the hearing loss means to my child and my family? Why can’t we just wait awhile? We JUST found out! I recently found out my baby has a hearing loss. How can I help him? Where do I start? A re hearing aids really needed? How much will they help? 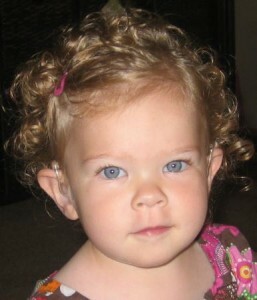 I want my child with hearing loss to learn how to talk. I know he needs to wear hearing aids even though he has some hearing. How much does he really need to wear them? Will they make him hear normally? What do people mean by Communication Choices? What do we need to decide? We just found out our child has a hearing loss. People are talking about communication choices and how we need to decide. What is this all about? We aren’t sure, but our child may have other needs too. How can this affect our choices? How can we get started with the basics? It’s all so new! Setting Lang in Motion: Family Supports and Early Intervention for Babies Who Are Deaf or Hard of Hearing. This resource was developed collaboratively between the Clerc Center and the Deaf and Hard of Hearing Program at Boston Children’s Hospital. With this resource, parents, educators, and professionals have free access to seven online modules which share information critical to promoting early language acquisition for young children who are deaf or hard of hearing. The topics covered in these seven modules include: early hearing screening and evaluating, understanding how the ear works, hearing aids, cochlear implants, using sign language for communication, communication at home, and parenting a deaf or hard of hearing child. Find out more here. What’s the big deal about unilateral hearing loss (learing loss in only one ear)? We just found out that our child has a permanent hearing loss, but it’s only in one ear. This doesn’t seem like a big deal. What should we know? Will having ear infections impact learning? My son has had ear infections since he was a tiny infant. Now he doesn’t say his words clearly. Can this be because of the many ear infections he has had?